On Wednesday, Lindsay Lohan filed a suit against New York City-based publisher Take Two Interactive, alleging that one of the company’s subsidiaries, Rockstar Games, stole her likeness for the action-adventure game “Grand Theft Auto 5,” which launched last fall for the Xbox 360 and PlayStation 3. 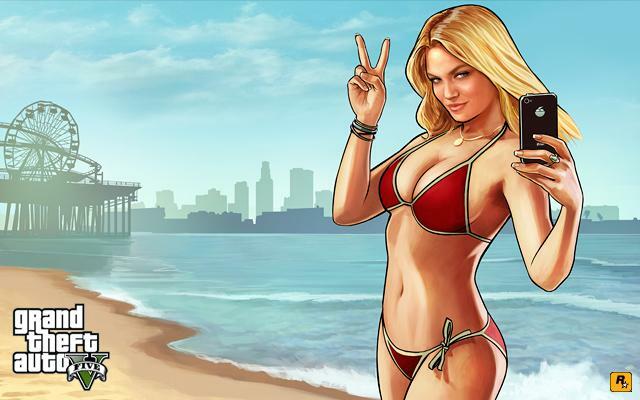 Many people assume that Lohan is claiming the popular “GTA Bikini Girl,” the voluptuous blonde bombshell featured on many of the game’s posters, looks exactly like her. Despite a resemblance, that isn’t the case. Lohan is actually claiming that Rockstar used her image for in-game character Lacey Jonas, an anorexic actress constantly on the run from voracious celebrity photographers and fans. Lacey Jonas is only a minor character in the game – but sadly, her words, actions and insecurities could mirror a number of famous actresses. Lohan also claimed that Lacey’s clothing, voice and overall style are similar to her own. She also accused Rockstar of copying her temporary residence – West Hollywood’s Chateau Marmont, where the actress has an outstanding bill of $46,000.